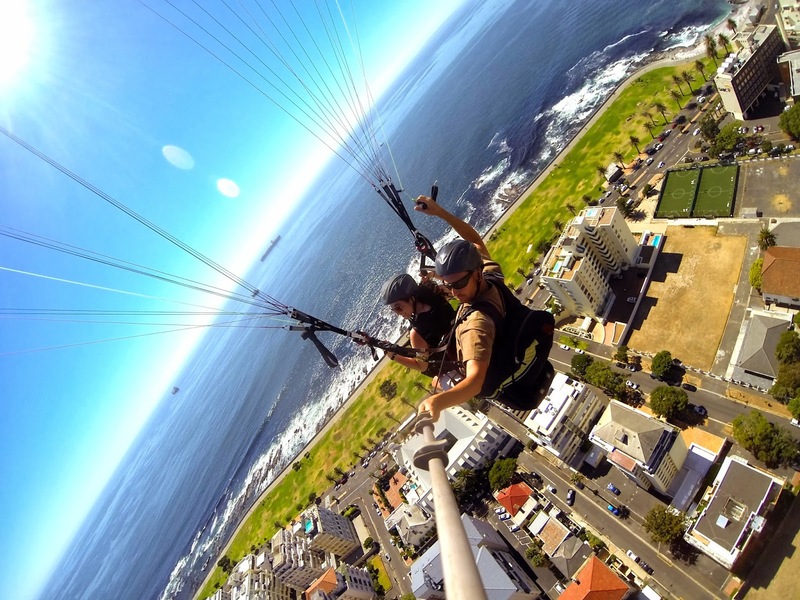 Launched from Signal Hill and headed down over the city and landed on the beach with Fly Cape Town. I planned a lot of my trip to South Africa using Google+, the South Africa Community was tremendously helpful. 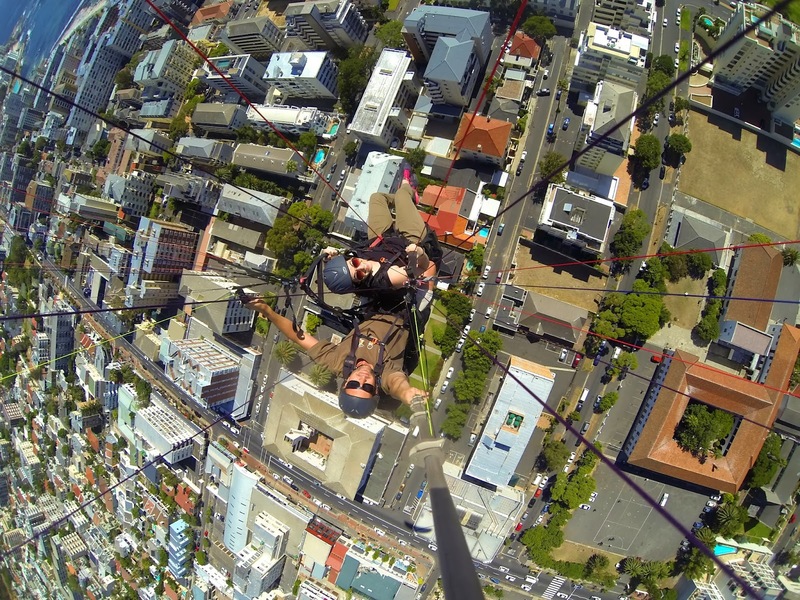 +Rob Baker introduced me to +Stephan Kruger via G+ and I that was when I learned about Fly Cape Town paragliding. 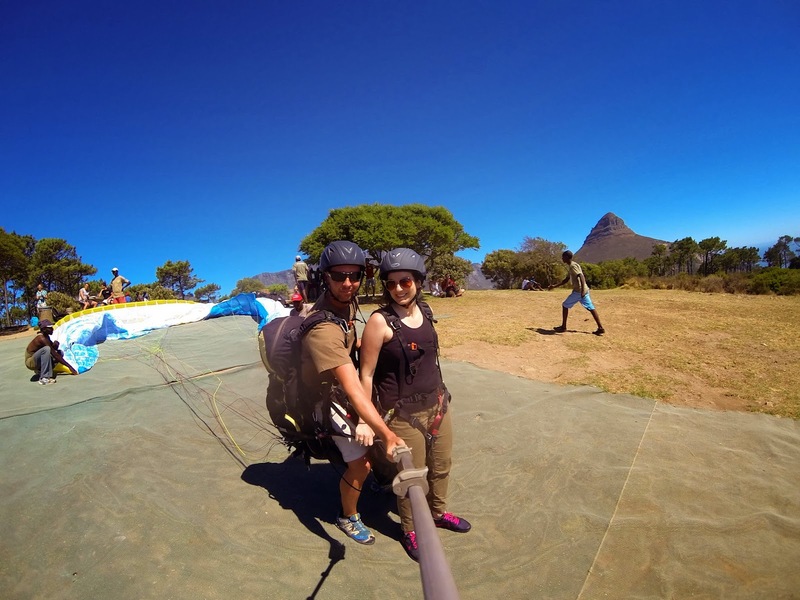 After viewing their site (and looking at Stephen's G+ page), I KNEW paragliding was an absolute must for me while visiting Cape Town. Nearly 20 years ago, I paraglided off the Swiss Alps - floating over the mountains in a small resort town was enchanting. 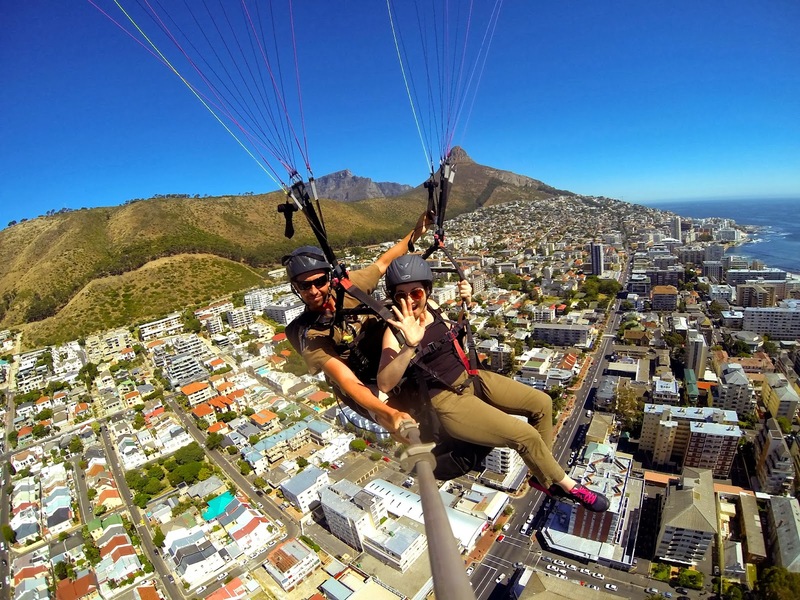 As I planned my trip to South Africa, I thought the mountains, the ocean and the beautiful city-scape of Cape Town would make it a perfect place to for my second attempt at paragliding. I requested a booking from the Fly Cape Town website, at first it was a bit tough to get a hold of them because they're usually up on a flight and there is very little cell service on Signal Hill. Stephen was very accommodating with my schedule and got back to me via text, email and tweet to ensure I got my flight in! When I met him, I found him to be conscientious, cautious and very safe -- which was extremely reassuring. The scariest part of the experience was waiting for the person ahead of me to take off... and looking over Signal Hill to see the city and the water below. Once I was in the air, it was relaxing and peaceful. They take a GoPro with them on the flight so you don't have to worry about pics, if you'd like the photos at the end you can purchase the SD card for 200 Rand (about $20) -- well worth it, don't you think?? The landing was surprisingly smooth. It was as if I had stepped off a stool and walked right onto the beach. So glad I did this!! And can't thank Stephen enough!